welcome to the first downlink! It's time to explore the connected world. At SATELLITE 2017, we're expanding the reach into the applications that satellite communications makes possible. The program you'll experience in 2017 will be unlike any other satellite or space program you've ever experienced. In fact, it will be unlike any SATELLITE program you've ever experienced! 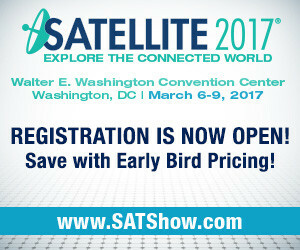 Registration for SATELLITE 2017 is now open! Secure your spot by December 8 to take advantage of the lowest rates on the Conference packages, and free Exhibit Hall Plus passes. We’re excited to be rolling out this year with the SATELLITE 2017 conference program. The first change you will notice is that we are widely expanding our keynote speaking and Engineering Forum to include more than 20 single-speaker or small group presentations, in addition to the SGx program and luncheon keynote speaker, which will both return on Monday of SATELLITE week. These 20- to 30-minute keynote spots will highlight leadership efforts to solve industry-wide challenges, new technological breakthroughs and the results of the latest research and development projects. Speakers will include aerospace executives, innovators and engineers, as well as a list of end-users from enterprise and entertainment industries. The SATELLITE show floor features the most innovative products and services that attendees need to increase profitability and stay on the cutting-edge in their respective fields. Having an exhibit presence at SATELLITE 2017 is a must for all suppliers and integrators interested in networking with and selling to decision-makers from more than 100 countries! To reserve your exhibit space or discuss a customized sponsorship package tailored to your specific goals and needs at the largest and most dynamic event in the global satellite-enabled communications market, contact Michael Cassinelli, Sales Director today at +1 (301) 354-1691 or mcassinelli@accessintel.com. Ready to reserve your space? Send the completed Exhibit Space Contract to Michael Cassinelli to reserve your booth. Stay connected - join the SATELLITE social media communities! 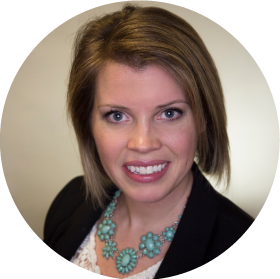 Connect with thousands of communications professionals via LinkedIn, Twitter, Facebook and Instagram. Germantown, MD, September 13, 2016 — Hughes Network Systems, LLC (HUGHES), the global leader in broadband satellite solutions and services, has signed an agreement with Airbus Defence and Space to expand their business partnership to serve growing tactical military communications requirements around the globe. [Via Satellite 08-29-2016] SES Government Solutions (SES GS) has received a contract from a U.S. Department of Defense (DOD) end user for low latency satellite communications through O3b Networks. SES, the owner of SES GS, increased its stake in O3b in April, and raised the capital needed for 100 percent ownership in May. The company is now offering both geosynchronous and Medium Earth Orbit (MEO) satellite communications services. [Via Satellite 08-30-2016] Anatel, the telecommunications regulatory body of Brazil, has given Rockwell Collins the ability to sign distribution and service agreements with any satellite entities and customers operating in the country. The global license authorizes the company to sell satellite services in Brazil. “Brazil has been investing heavily in a growing network of airport and Air Traffic Control (ATC) facilities, and major events like the World Cup and 2016 Rio Games have also driven growth. Rockwell Collins’ ability to provide satellite connectivity will help support that growth, particularly for business aviation customers, where Brazil ranks third in the world after the U.S. and Mexico, ” said David Stanley, vice president, ARINCDirect Cabin Services for Rockwell Collins. [Via Satellite 08-30-2016] Eutelsat and Telecoms Sans Frontieres (TSF), a Non-Governmental Organization (NGO) specializing in emergency telecommunications, have renewed their partnership agreement initiated in 2007. Based in Pau, France, with additional bases in Mexico and Thailand, TSF is dedicated to facilitating critical communications services in emergency situations when terrestrial networks are disenabled, and also to providing links in extremely remote areas. Within 24 hours of a crisis, TSF can be on the scene anywhere in the world to set up telecommunications centers and the IT equipment required for crisis units, with satellite at the core of the technologies deployed. Since its foundation in 1998, TSF has intervened in more than 70 countries, supporting the work of more than 800 humanitarian organizations. [Via Satellite 09-02-2016] NASA has selected 21 research and technology proposals from American small businesses and research institutions for Phase 2 of the agency’s Small Business Technology Transfer (STTR) program. These selectees are permitted to enter negotiations for possible contract awards worth a combined total of approximately $15.8 million.